I spotted this necklace on one of my fave blogs Just Patience this morning and I just had to share. 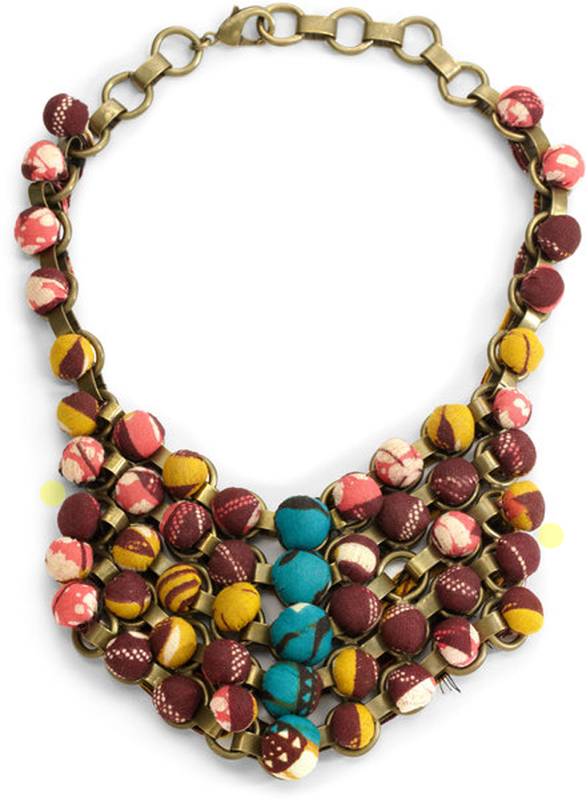 This afrocentric statement necklace is currently selling on saks & fifth avenue for $210. What do you say ? Please hop in on Patience's blog and see how she wore it.